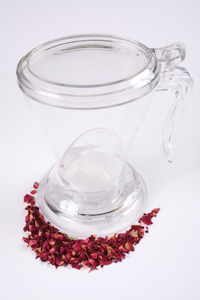 This magical tea pot does it all! Place loose leaf tea in the pot, fill with hot water and allow to steep. Once steeped, place the pot directly on top of your cup and watch it magically pour.